Tracy S. Carnahan, age 53, of Evansville, IN, passed away at 10:48 p.m. on Monday, January 21, 2019, at Linda E. White Hospice House. Tracy was born July 26, 1965, in Evansville, IN, to Roy and Marsha (Hall) Carnahan. She was a member of St. James United Methodist Church. Tracy retired from Evansville ARC. She participated in Special Olympics in her younger years. She had a great sense of humor and was the light of our lives. Tracy spent hours coloring in her color book and loved her babies. Tracy is survived by her sister, Jodi Miller (Jeff Gates); aunt, Shirley Duncan (Jack); uncle, James Carnahan (Sue); brother in law, Richard Hodge; nieces and nephews; Ryan Little (Jamie), Lindsey Davison (Rob), Lauren Little (Jaime Schindler), Kayla Carson (Matt), Logan Miller, and Baylee Miller; great nieces and nephews, Tristen, Avery, Bobby, Emma, Ellie; and several cousins. She is preceded in death by her parents, Roy and Marsha Carnahan; sister, Kelly Little-Hodge; brother, Kelly Alleric; and grandmothers, Dorothy Grayson and Imogene Carnahan. The family would like to thank her special caregivers at Signature Healthcare as well as the many extended family and friends who assisted with her care. Funeral Services will be held at 10:30 a.m., Saturday, January 26, 2019 at Boone Funeral Home East Chapel – A Family Tradition Funeral Home, 5330 Washington Avenue with Pastor Gene Backes officiating. Entombment will be in Memorial Park Mausoleum. Friends may visit from 3:00 p.m. until 7:00 p.m., Friday, January 25, 2019 at BOONE FUNERAL HOME EAST CHAPEL. 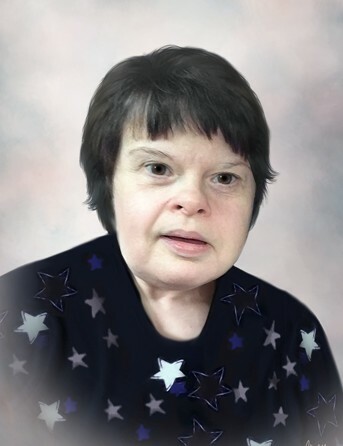 Memorial Contributions may be made to: SMILE on Down Syndrome, 105 NW 4th St, Evansville, IN 47708; Evansville ARC Inc, 615 W Virginia St, Evansville, IN 47710; or Linda E White Hospice House, 611 Harriet St, Evansville, IN 47710.